Best for all skin types with enlarged pores. Specifically formulated with ingredients designed to help control oil and refine enlarged pores. Additionally, activated by the Deep Pore Brush Head, a trio of fruit acids create a keratolytic action that loosens poreclogging dead skin cells. Sulfate free, Paraben free. Cleanse skin once to twice daily with the powerful combination of the Deep Pore Brush Head and Deep Pore Daily Cleanser. 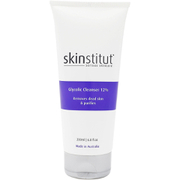 Combined with the cleanser, this step uses sonic fluid forces to penetrate deep into the pore to remove set-in debris. Apply directly to a moistened Clarisonic Deep Pore Brush Head and gently glide over skin avoiding the eye area. Contains a powerful blend of pore refining ingredients to remove impurities and excess sebum while improving skin clarity. After just one use, pores are decongested and appear smaller. Specifically formulated and optimized for daily use with the Clarisonic Cleansing Brush and Deep Pore Brush Head. Aqua (Water), Peg-120 Methyl Glucose Dioleate, Sodium Cocyl Isethionate, Sodium Lauroyl Oat Amino Acides, Decyl Glucoside, Potassium Laurate, Potassium Myristate, Phenoxyethanol, Caprylyl Glycol, Hydrongenated Cocnut Acid, Parfum/Fragrance, Disodium EDTA, Salicylic Acid, Sodium Isethionate, Zinc Gluconate, Polysorbate 20, Saccharum Officinarum Extract/Sugar Cane Extract, Limonene, Linalool, Citronellol, Citrus Medica Limonum Peel Extract/Lemon Peel Extract, Mentha Piperita Extract/Peppermint Leaf Extract, Pyrus Malus Extract/Apple Fruit Extract, Camellia Sinensis Leaf Extract.